﻿TABLES- At the end of each period remove big pieces of clay and scrape off anything extra that is stuck. 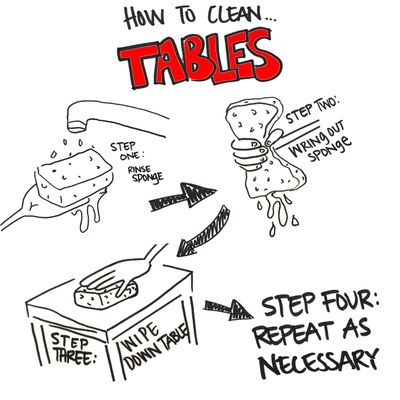 Then grab a sponge and wipe tables off. 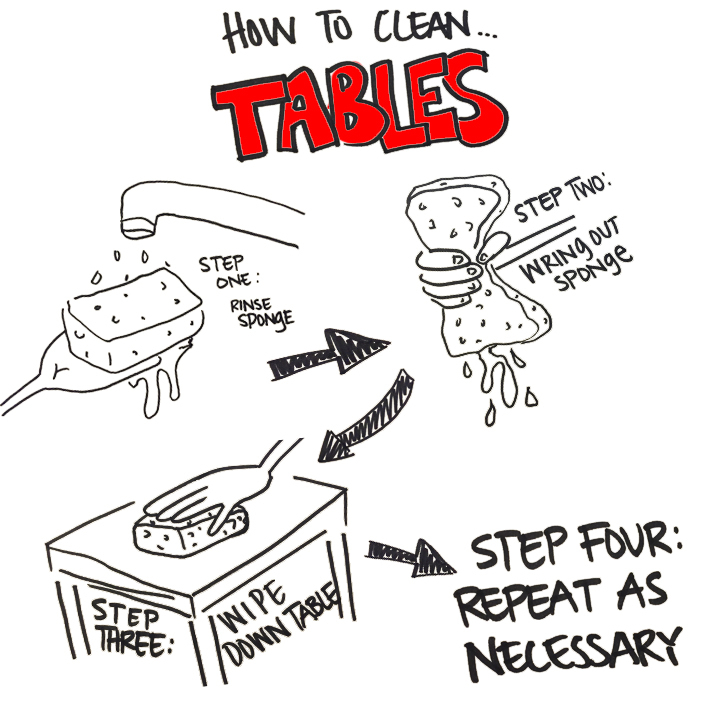 Make sure that you ring the sponge out before use on tables. ​TOOLS- At the end of each period clean large pieces of clay from tools and make sure that all of the spaces in the holder are filled with their appropriate tools. 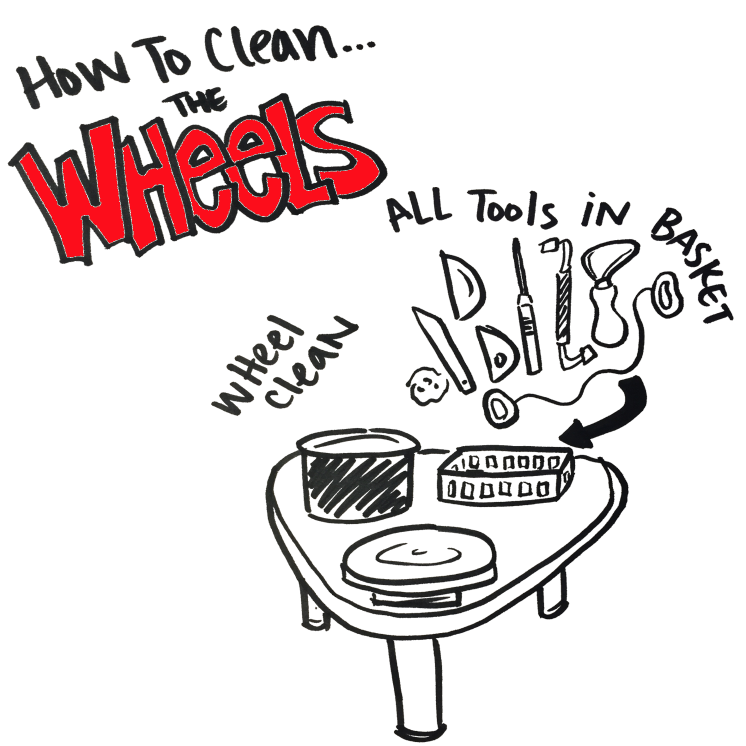 ​WHEELS- At the end of each class make sure that all of the buckets are on the wheels and that all of the tools are in the baskets. The people working on the wheel are responsible for their own tools, but you are to check at the end of class to make sure they are all there. REMEMBER!!! YOUR TABLE MAY NOT LEAVE UNTIL THESE DUTIES ARE DONE!! FAILURE TO CLEAN UP WILL RESULT IN A LOSS OF POINTS!! 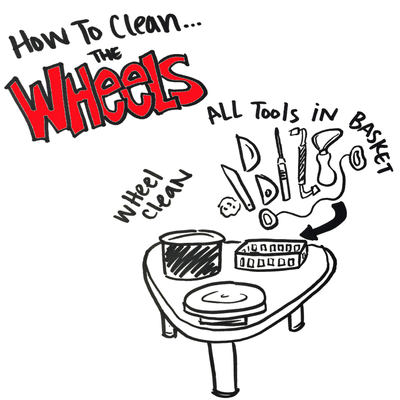 All students are expected to clean pottery wheels, throwing bats, tables, extruder, sinks, etc. after finished working. Everything has its place. Return all bats and tools to their proper place. No one wants to clean up your mess so they can work. 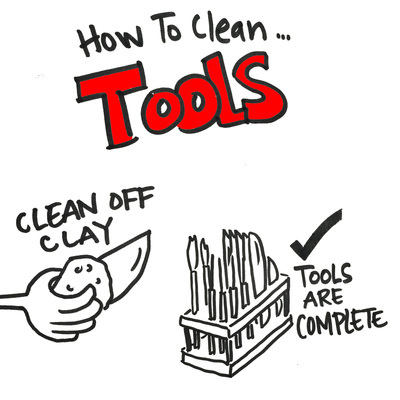 Dust and chemicals from clay, slips and glazes are hazardous to your health. Clay contains silica, which damages your lungs when inhaled. After making clay, wipe down mixer/pugger. Wipe up the floor around the area. Wear dust masks, if using dry materials. Do not contaminate glaze chemicals or glazes. Return glazes to their proper location. Cover glazes after using and do not stir glazes with same mixer without washing it in between. If your piece has drips of glaze on the bottom, you must wear safety goggles when using the grinder. You must clean up your grinder area after use.